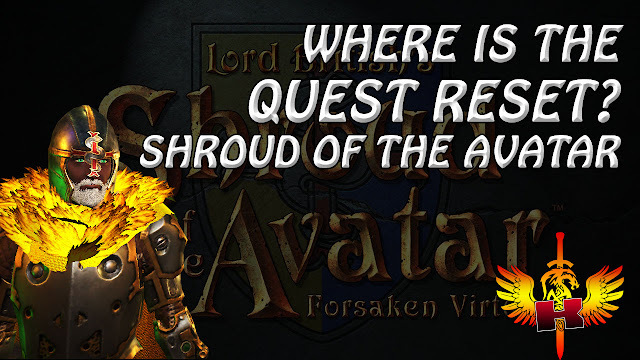 Shroud Of The Avatar • Where Is The Quest Reset? In Shroud of the Avatar, a feature called Quest Reset was added recently for those Avatars who would like to re-do all the quest in the game again. This Quest Reset is "one time only". After this one Quest Reset, Avatars can no longer do another Quest Reset in the future. The Quest Reset will take away all rewards associated with the main Story Line Quest.